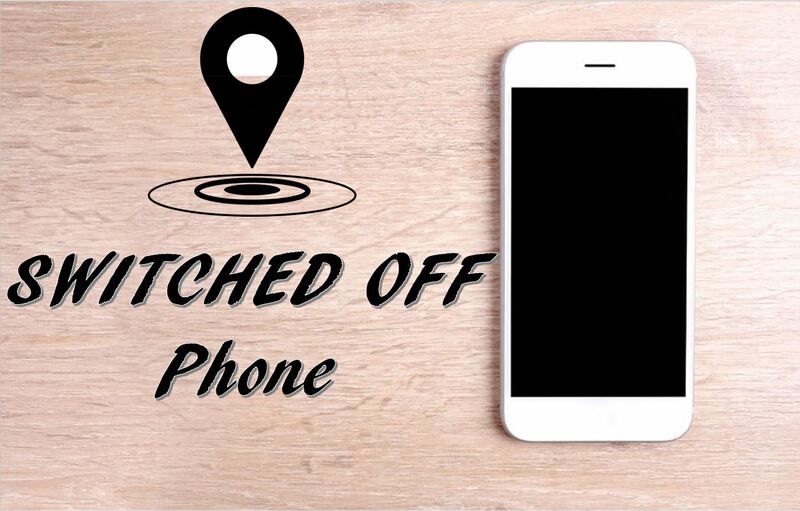 Tracking a Switched Off Phone (Android/iOS) Device. How to enable Android Device Manager on your phone? Can a Switched Off (Android/iOS) Phone be Tracked? How does NAS/Police/FIA, etc Track Powered Off Phones? Tracking a phone or a number, in past, was considered the work can only be done by the Police or Secret Services. But, nowadays, due to the latest technology in the approach of everyone tracking a phone is much easier now. Prior discussing how to track a switched off phone, let’s talk about how can you track any android/iOS phone if it is not switched off. This will help in understanding the whole phenomenon and later will help us tracking a lost smartphone. Most Android Phones now come with Android Device Manager built in. This service will automatically track your phone’s location, so if it ever goes missing you can hop on your laptop or a friend’s phone and find it’s last known location, ring your phone if it’s nearby and you need a hint or lock and/or erase your phone if you fear it has been stolen. All this Android device manager, iCloud, antivirus with Anti-theft features like remote erase, take pictures of the thief, location history, etc only work if the phone is Switched on, Location Enabled (on) and Connected to Internet. Before we talk about tracking a switched off phone, you should make sure that, if in case, you lose your phone you should make some basic settings. The most important thing you can do is make sure your phone is set up to be found before it goes missing. Otherwise, you’re basically on your own. In newer Android phones, the Device Manager is already located conveniently in your Settings app -> Lock Screen and Security -> Find My Mobile (the settings can be changed in different phones). But if you can’t find it you can always download Android Device Manager from the Google Play Store. This locating service has essentially amalgamated with Google to make finding your phone easier. There are just a couple of things you’ll need to activate (again these settings can vary from manufacturer to manufacturer). Tap Android Device Manager so that a checkmark appears in the checkbox. Tap the back button in the top left corner of your screen. Tap the back button again in the top left corner to return to the main Settings menu. Tap Location in the main Settings menu. Tap the switch beside Location at the top of the screen so that it turns on. Tap High accuracy so the circle is filled in. Tap the switch beneath Location History so that it turns on. Tap the switch beside your device so that it turns on. See Also: Can I Create Multiple Gmail Accounts without Mobile Number Verification? Should you happen to lose your phone, you can locate its whereabouts by logging into your Google account from any computer or even from another phone. Navigate to Google if it is not your default search engine or homepage. Type find my phone (android) in the Google search bar. Tap on Android Device Manager (usually the first option in the search). Enter your email address and password just as though you were checking your email. If you have 2-step verification set up on your Google account (and you most certainly should), you’ll need to complete that process as well. You can Ring your phone so that it makes noise (even if you had it on silent). This feature is helpful if the map indicates that the phone is within earshot and you simply can’t see it. You can Lock your phone so that the finder can’t access your home screen. This feature is most helpful if your phone wasn’t previously secured with a passcode or a fingerprint sensor. You can Erase your phone. This is the best option if you know for certain that you aren’t likely to retrieve your phone. If you are trying to locate your phone with Android Device Manager and it doesn’t seem to be working, the most likely cause is that your phone is not currently connected to Wi-Fi or an available network (so whenever going out keep your data on – as a security measure). In case your phone is not connected to any network, it’s important to keep trying; the moment your phone does make that connection, it will appear on the map. You can use Google Maps to track your phone, in the event it is turned off or disconnected from the internet. All you need is to have Location Reporting and Location History activated on your device (as discussed earlier). Just use your Google account through a web browser to access the Location History feature, make sure the current time frame is selected, and you can see the last location your phone pinged. Log into your Google account (the one your phone is registered with). This will show minute by minute location of your phone on any chosen day. If you want to download a tracking app instead, there are a number of options to choose from the Play Store. Wheres MyDroid App, for instance, serves the same purpose. Check this out: How do I know My Phone is Hacked? When a phone that is not connected to any Gmail Account either it has been reset or brand new, then such phones can’t be tracked using Android Device Manager or FInd My Phone option. The only option that remains with a normal user (not Forces) is to track your phone using IMEI Number of it (if you have it). But, if you don’t have that IMEI Number then forget about it. If your phone has some insurance of any stuff like that, claim and buy a new phone. Any iPhone or iOS device can also be found by Find My iPhone (iOS) services. Navigate to the “Find My iPhone button on your dashboard, and select the device you want to locate. This may take a little while, so be patient. Once it shows your phone location on the map, you have the option to make the phone ring, in case you’ve just lost it around your house or workplace, activate “Lost mode”, or erase your data. Make sure you don’t jump the gun on that third option because, once you erase your data, Find my iPhone won’t work anymore. The important thing is that the thief can’t disconnect your phone from iCloud services, turn off Find My iPhone or erase your data, if you’re using iOS7 or higher. Thanks to Activation lock, which only lets you do any of those things once you input your Apple ID password. However, they can turn off your data and WiFi, thereby negating the location service. Since they can’t erase the phone or turn off location services, you can ask Apple to notify you the next time they go online (of course they will go online sooner or later), so you don’t need to have Find My iPhone open all day. When you turn on Find My iPhone, iCloud can help you get your missing device back. And if your device is ever lost or stolen, Activation Lock keeps your information safe and makes it hard for anyone to use or sell it. Click here to proceed. Do you know: How Antivirus Software Can Be Turned Into a Tool for Spying? Here comes the Big Question now. When you turn off your phone, it will stop communicating with nearby cell towers and can be traced only to the location it was in when it was powered down. GPS will be of no help as it consistently needs cellular and/or internet access to gather the location details. In simple words, the phone can’t be tracked. Still, you don’t want to quit, here is a way for you. As soon your phone is lost or theft by a thief. They keep the device off and sell it for parts. Some ship stole phones to other countries after wiping the current software and IMEI tracking request will never find the phone active in a different country. There are even smarter ones who tamper with IMEI number, so IMEI tracking won’t work and wipe the phone so all software tracking is gone. So a switched off phone cannot be tracked down, only last location can be found out till it was on. The last location may or may not help depending on your situation. You have two options left now. Hope that your phone is turned on and connected with Internet. As soon as it does, this is the time to catch your thief. Well, in the case of iPhones, it is more secure and the phone becomes completely useless for the thief (if you have set things right as guided above). So when he gets connected to the Internet, you’ll be notified instantly. The case of Android varies due to different operators and OS versions. Yet, it does almost the same. If you have set up things right as discussed earlier, then there are chances to find your phone or its location. Becuase, when it gets connected with internet, its location history is updated and that is your chance (if your phone is locked or secured with fingerprint/facial recognition/password, etc then a normal thief can’t delete/erase your Gmail ID and you can get to him. The second thing you need to do is to report your phone to the Police/Forces, etc who solve such matters. Provide them with your phone IMEI and other details they ask. Chances are they can track the phone even if it is turned off. Organizations like National Security Agency, Central Security Service, Police and other intelligence services, according to a report from Washington Post, are capable of tracking cell phones even when they are turned off. And this isn’t something new. As per the report, NSA has been using this technique, dubbed “The Find”, ever since September 2004. This technique was used in Iraq and it helped identify “thousands of new targets, including members of a burgeoning al-Qaeda-sponsored insurgency in Iraq,” according to a special operation officer who was interviewed by Post. The Washington Post story doesn’t throw light on this. But the only way NSA could track switched off phones must be by infecting the handsets with Trojans. That would force the handsets to continue emitting a signal even if the phone is in standby mode unless the battery is removed. When the battery is removed, the compromised handset will not have a power source to emit the signals, and hence would fail to share its location details. But infecting the phones to track its location isn’t something new. Back in 2006, CNET had reported how The Federal Bureau of Investigation (FBI) had deployed spyware to infect suspects’ mobile phones and record data even when they were turned off. It’s quite plausible that NSA used similar techniques in Iraq, albeit on a larger scale. In this case, it’s not really the phone itself that’s being tracked, but that chip.“. In layman terms, this should probably explain why USA banned Chinese networking companies like Huawei and ZTE. ← Does Fazlullah’s death matter?